My name is Meg, I am a sophomore and I hail all the way from West Hartford, Connecticut. I declared my major in Film and Media Studies at the end of my freshman year, and I am planning to pair that with a major in another field, perchance politics or philosophy. My first semester at Whitman I took Intro to Film and Media Studies with Prof. Sickels, and then second semester I took an extremely interesting World Lit course called Japanese Fiction and Film. I really enjoy learning about all aspects of film and media, although I find myself particularly drawn towards the consumption and production side of things… I love to watch a films and then break them down, thinking about all of the decisions that went into each shot, each dialogue, etc. I am also taking Intro to Filmmaking this semester, and actually getting the chance to pick up a camera and produce something makes me want to jump out of my skin and start dancing. All that being said, I think I am somewhat lacking in the film culture and theory department. As someone who hopes to get involved in the film world eventually, I am extremely eager to learn more about both of those things. Partly in response to Nick’s post, I have been very drawn to Wes Anderson movies as of late (I know Noelle is on the same page), and I think he does an amazing job of finding that perfect balance between telling a full, rich story that also has extremely compelling cinematography. Watching a Wes Anderson film is such a treat for the eye and the soul (pardon my cheese). 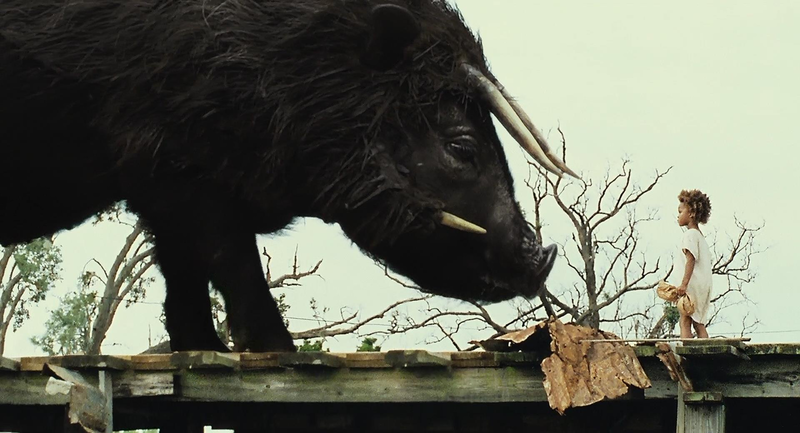 As my image above suggests, I think the film Beasts of the Southern Wild strikes that perfect balance as well.